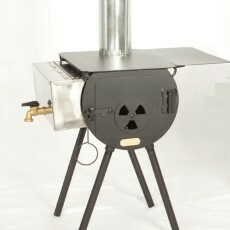 The Tundra Take Down wood camp stove is our latest addition to the Kni-Co line of camp and tent stoves. 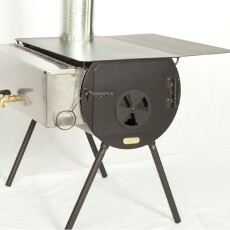 The Tundra Stove is designed to be taken down for ease of storing and packing. The high temperature powder coating finish will withstand temperatures over 1200 degree’s. The powder coating reduces the chance of rust and gives you a great looking stove for years to come. Kni-Co uses a unique slotted connection system that makes the Tundra Take Down stove exceptionally air tight; a big concern for stoves that require repeated assembly. It is made out of a 18 gauge cold rolled steel. 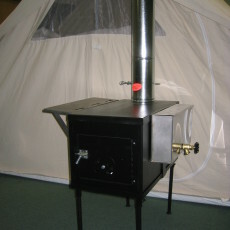 The Tundra Stove measures 27″x15″x25″ (with a 5″ chimney hole). 4 – 20″ sections of stovepipe.